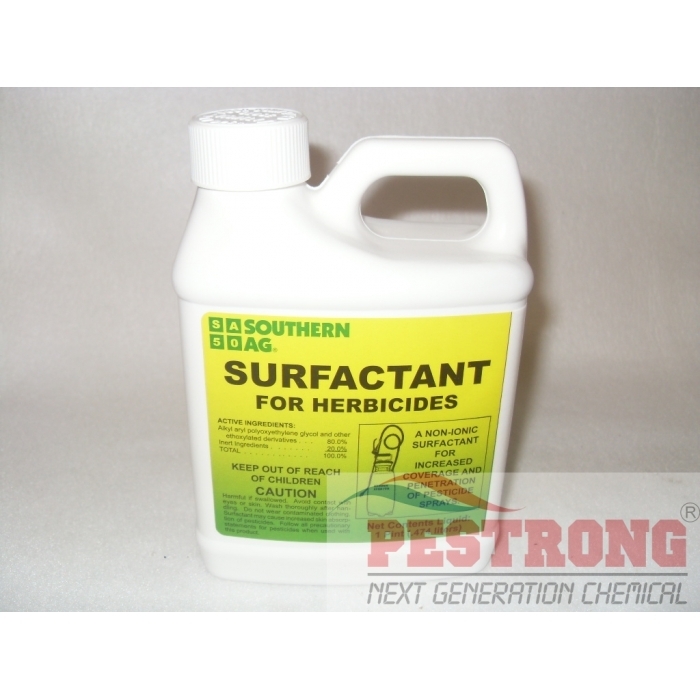 Where to Buy Surfactant for Herbicides, Surfactant for Herbicides - 16 Oz - 1 - 2.5 Gallon - $14.50 for Sale with Fast Free Shipping! 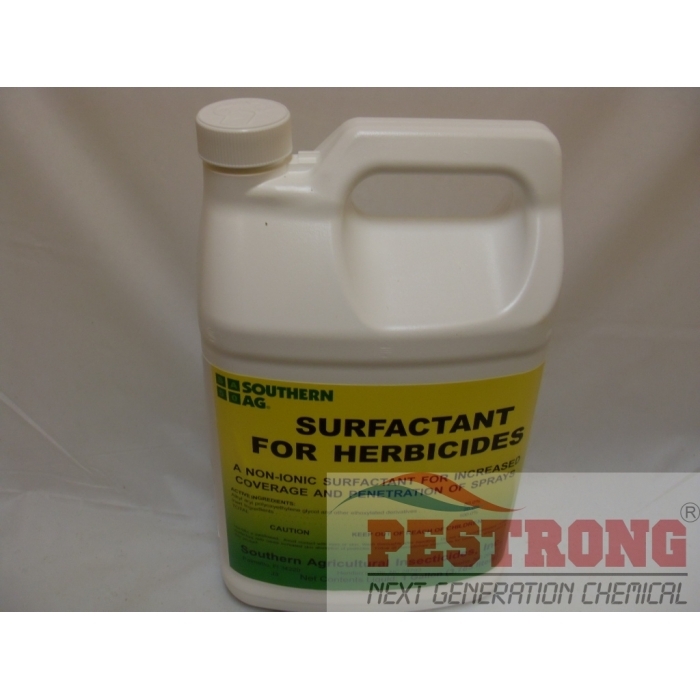 Surfactant for Herbicides - 16 Oz - 1 - 2.5 Gallon reduces the surface tension of water to insure more uniform coverage and penetration of weed killer. USE: With almost herbicide including Trimec, Atrazine, Brush Killer, 2,4-D Amine, Roundup and Etc. FOR: Reducing the surface tension of water to insure more uniform coverage and penetration of weed killer. We, Pestrong.com will ship either SouthernAG brand Surfactant for Herbicide or Triangle brand D-W Surfactant depends on current stock. Both are the same 80/20 surfactant, just different manufacturer. 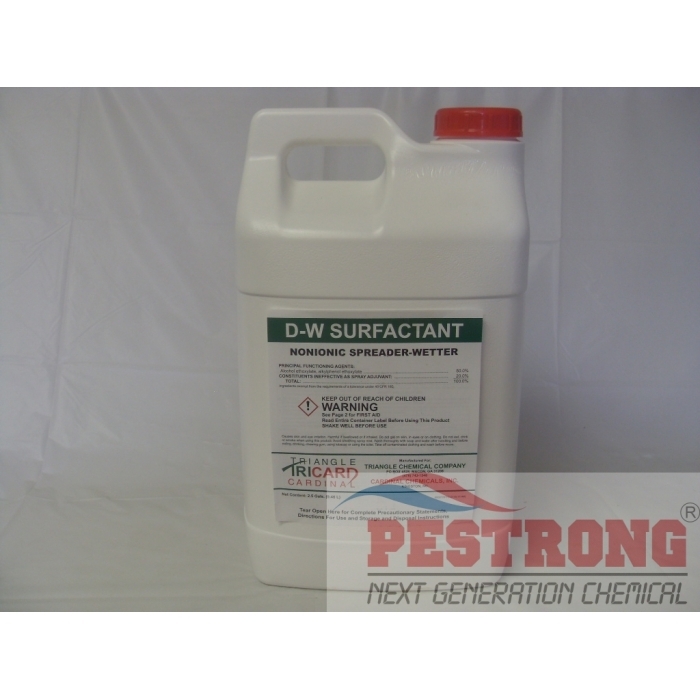 For 2.5 Gallons, Triangle brand D-W Surfactant only is available. Very good price for a non ionic surfactant. The small size is more than enough for our uses. Nice and cheap way to maximize the effect of the chemical especially herbicide by reducing the surface tension and let the chemicals spread evenly, honestly if you are using chemicals that worth hundreds of dollar, then it's almost stupid not use this product. Cheap and reduces the water tension between plant and herbicide. I used this in all my solution. Great general purpose herbicide. I have used this into butyrac 200 2,4-db. Better result than without this. A+ product. The ionic solution was sticky & performed well even after the grass got wet. I recommend using this product with Grazon. Best surfactant in the market! 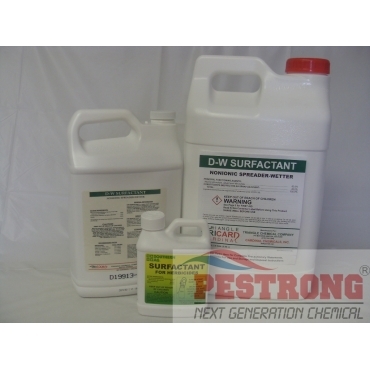 A simple and inexpensive surfactant to help with uniform deliver of herbicide. Very good value. Great general purpose herbicide. Cheap and reduces the water tension between plant and herbicide to ensure more uniform coverage and effectiveness. This is surfactant which I am looking for. This is non-ionic surfactant which need in mix with any herbicide to raise chemical effect. it is cheap. I used this in all my solution. no problem so far.